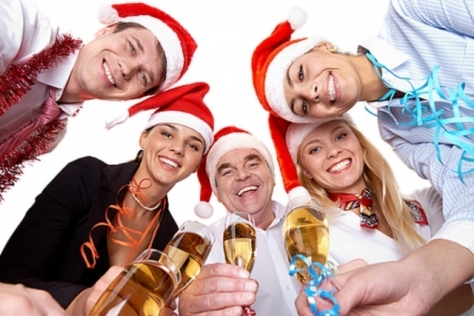 The office Christmas party is very important event in the employee’s life, because this party is at the end of the work year. First you have to plan the budget. It determinate the type of the party, venue, the theme and also the atmosphere of the celebration. Find out how much money can you spend and after it allocate the budget for the most important groups (e.g. venue, food and drinks, entertainment, etc.) The third thing is by planning the cost and this is eternal verity: Leave some money aside a back up for the unexpected costs. Christmas is perhaps the busiest period of the year. For this reason you should choose the right date as early as possible. First send a potential options around the company to get a feel for the prefered date. After this send a ’save the date’ e-mail to the employees. Search for a suitable venue, that have availibility, and fit for your budget and it is not too far from the company or from the participants’ home. You can ask the events team of the potential venue about the availibility (furnitures, technical equipments, staff on the nights, entertainments). Choose the theme, it can be vintage, traditional Xmas, jazz, retro (60’s, 70’s, 80’s). The theme is the essence of the party and you can buy or hire some things (like decoration). Make a list about this little things. Food is a crutial part of any social event such as the Christmas party. By the menu planning it is important to decide the following: order an elegant 3-4-5-course menu, or your company prefer the buffet? It can be nice that the menu fit to the theme. If the theme is traditional Christmas the pastries can be e.g. gingerbread or the main dish can be turkey. The drinks is as significant part of the party as the food. First, choose the welcome drink. It can be mulled wine or Xmas coctails. After then decide on whether you are going to pre-order drinks or pay for the consuption all the night. If you prefer the self-catering you can order a drink-table with some glasses and spirits and the collegaues can drink as much as they want. If your collegaus like the shows you can origanise an extra entertainment. It can be coctail flaring, demonstrations, karaoke, or a magician show. But if you would like to make a better team you can institut them games, like giant Jenga, or murder mystery. It is a nice habit to thank the whole-year work for the employees. Ask your director or manager to say a short „thank you speech”. It would be great he/she give out any awards or small present. It is very relevant component by the organisation. Collect the taxi numbers and all informations of the night public transport. If your budget let you can organise a coach for suitable times. Make a virtual event or groups an the social media channels. You have to write the date with start and finish time, the venue name with the address, the name and theme of the event and if you have the dress code. Inform the about the menu and the drink. Ask confirmation from the participants to calculate the right numbers. If you have time you can make a meal plan and if it is formal also a tableplan. I think feedback is always good for the future. In the next year make a short questionnaire about what was enjoyable and what wasn’t. You can use the social media and or your internal communication system. The eating habits of the Hungarian Easter gastronomy have a long history and the most typical components are served on the Easter table in every family. The most traditional Hungarian Easter foods are lamb, ham, eggs and horseradish. 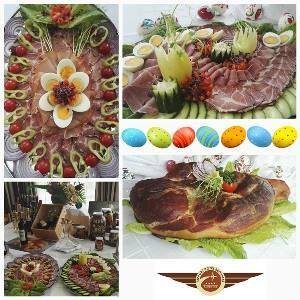 We wish good preparation for everybody with the Easter composition of our Chef! This is the perfect Easter breakfast for us! We are pleased to inform our guests that our hotel successfully participated in the "Green Hotel 2017-18" competition and we are entitled to bear the "Green Hotel" title until 31st December 2018. Since the hotel opened in 2008, the management tries to keep environmental awareness in mind; we strive to leave a smaller ecological footprint. In order to do so, effective practical measures are applied in several areas. The hotel ensure airport shuttle for the guests on request. We carry out this service with our own 8-seated mini-buses. The buses shuttle every 15 minutes and we load them possibly up to 8 passengers, so we try to reduce harmful emissions. In 2016, we have set our goal to create an electric car charging station, which helps to spread the establishment of the associated infrastructure and alternative-powered vehicles. 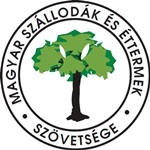 Protect the environment, take care of your health and enjoy your stay in Budapest. You can have eco friendly hotel room, energy saving hotel services in Airport Hotel Budapest.